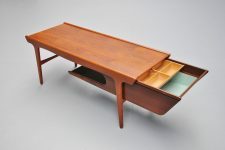 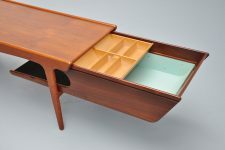 Fantastic looking and very unusual coffee table with sliding shelve underneath for storage and magazines. 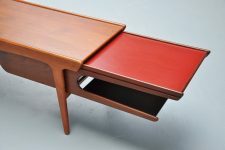 On the right we have a storage unit, mint green lacquered inside and on the right we have 2 trays in red and black laminate for drinks and magazines. 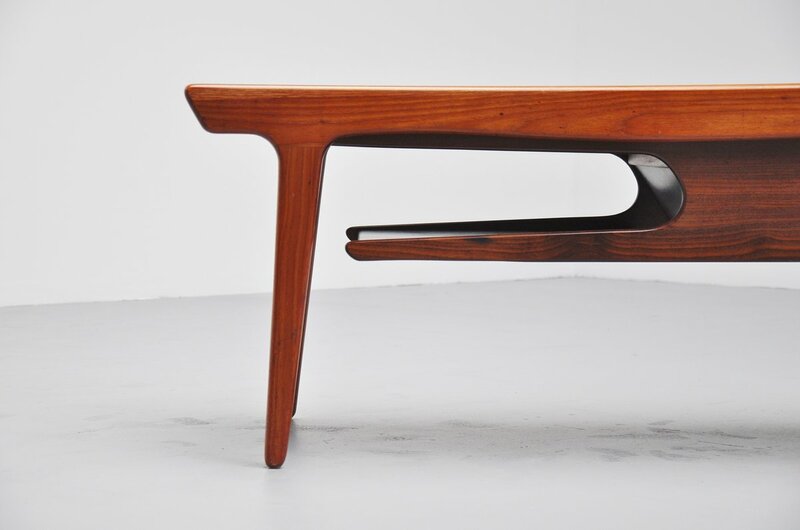 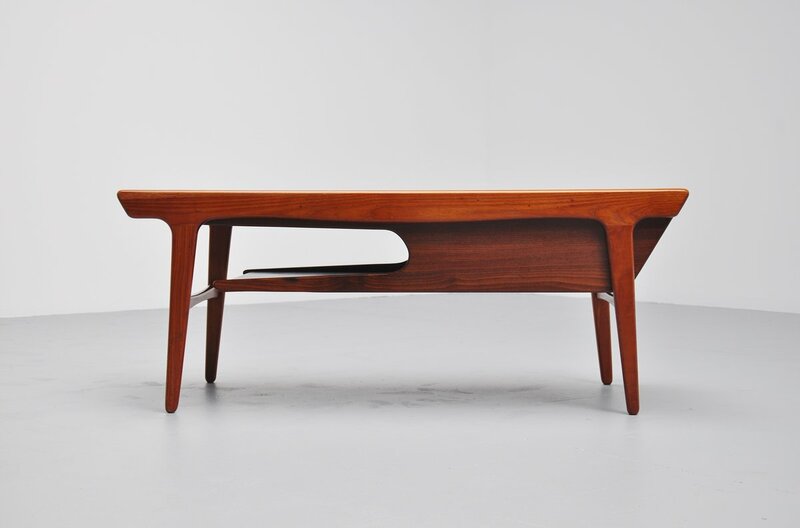 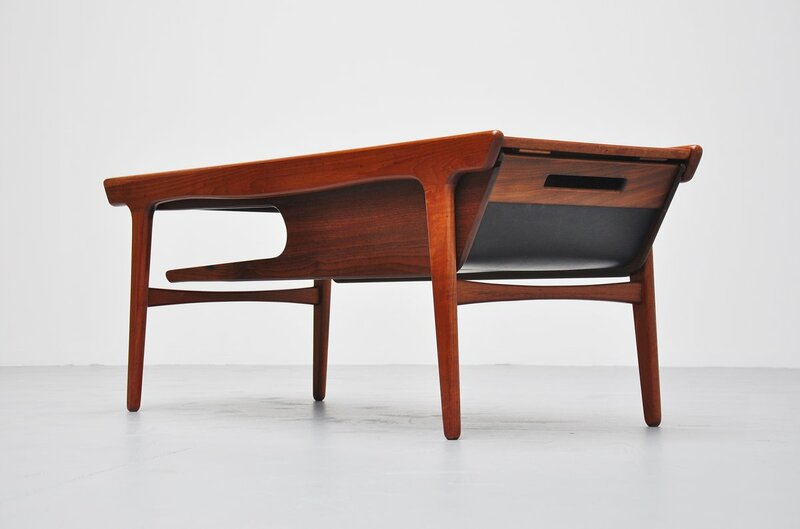 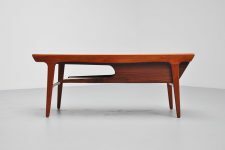 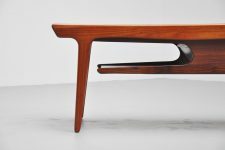 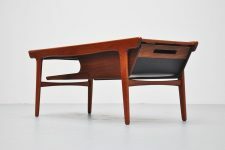 Fantastic table, never seen before but Danish for sure. Superb complete condition, table top is restored and looks great.